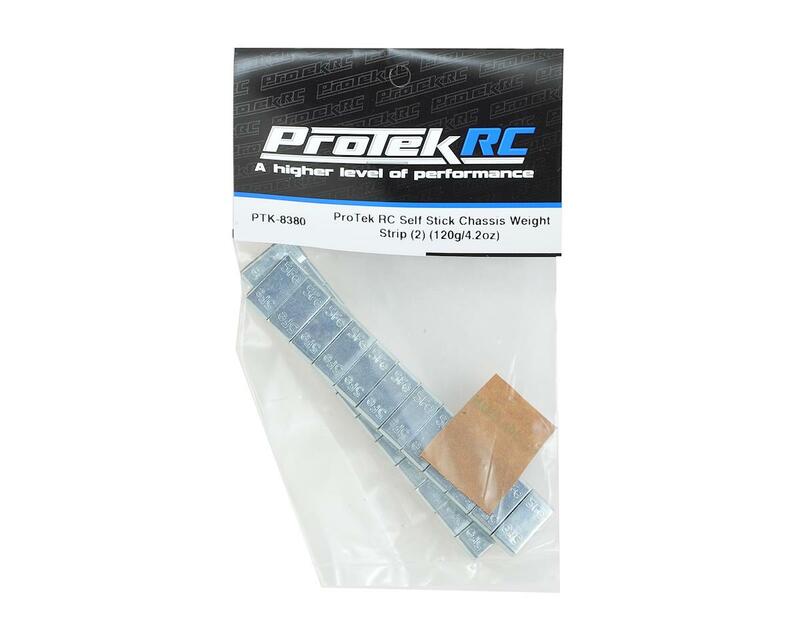 This two pack of ProTek R/C Self Stick Chassis Weight Strips feature twenty-four 5 gram weights backed by double-sided sticky tape. 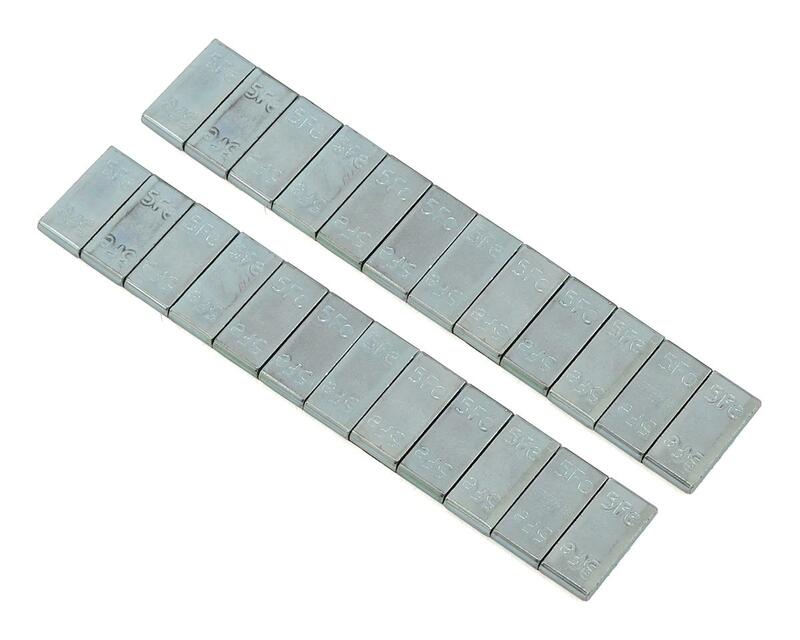 The small compact design of these weights allow you to used them in tight spots, laying flat or stacked up, to balance your chassis bias where needed. Package includes a total of 120 grams, or 4.2 ounces.